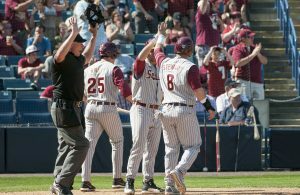 Florida State will look to stay hot on Tuesday night as it makes the long trip to Upstate New York to take on Syracuse. 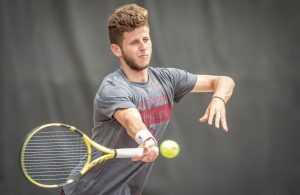 The Seminoles are coming off a 59-49 home win on Saturday against Georgia Tech and will look to win a fourth straight contest. Since an inexplicable home loss to Georgia Tech, the Orange have won four of five and are the only team in the ACC to defeat Duke. Syracuse is coming off back-to-back road wins over Boston College and Pittsburgh — two places where FSU lost earlier this season. 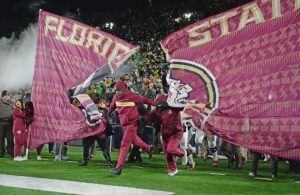 FSU defeated Syracuse 101-90 in two overtimes last season in Tallahassee. The home team has won the last five games in the series. Tyus Battle: Since Boston College’s Ky Bowman went off for 37 points against Florida State last month, the Seminoles have done a pretty good job holding opponents’ leading scorers in check. Over the last three games, Clemson’s Marcquise Reed, Miami’s Chris Lykes and Georgia Tech’s Jose Alvarado have combined to score just 14 points on a combined 4-for-33 shooting. A 6-foot-6 guard with the ability to handle the ball, Syracuse junior Tyus Battle will provide a different challenge. At 17.5 points per game, Battle ranks seventh in the ACC in scoring. Battle went 5-for-9 from deep and finished with a career-high 37 points in last season’s double-overtime loss to FSU in Tallahassee. 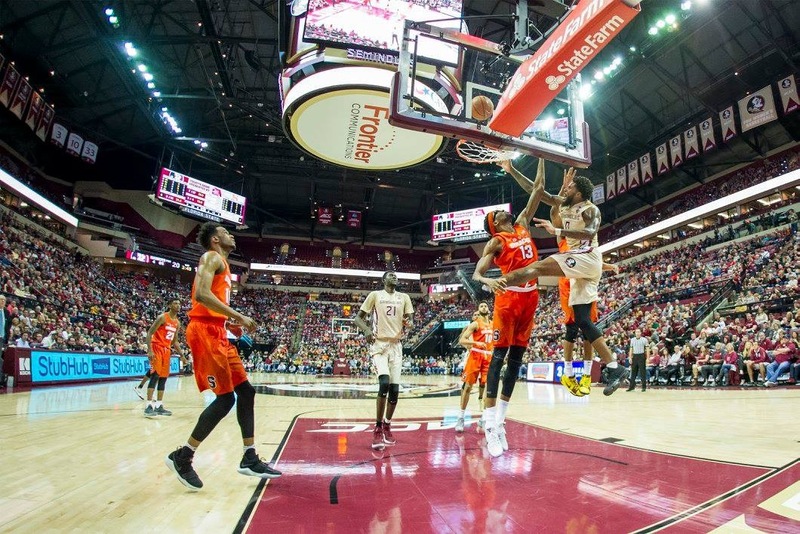 FSU offense vs. Syracuse zone: Under legendary Jim Boeheim, Syracuse has been known for its stifling 2-3 zone defense and things are again going well for the Orange on that end of the court. Syracuse is holding foes to 39 percent shooting and are giving up less than 64 points per game — the third fewest in the ACC. The Seminoles were stifled on Saturday against a good defensive Georgia Tech team, managing just 59 points on less than 35 percent shooting. In conference play, FSU is scoring less than 70 points per game. FSU shot 40 percent in last season’s match-up and scored 74 points in regulation. Rebounding: If there is an area where FSU should have the edge on Tuesday night, it’s on the glass. Florida State averages 12 offensive rebounds per game and ranks sixth in the ACC in rebound margin. The Orange rank just 12th in the conference in that area, but have been consistently better in ACC play. In conference games, Syracuse actually ranks fifth in the ACC in rebound margin — one spot above FSU. Oshae Brissett leads the team in that area with 7.6 boards per game. Pascal Chukwu, a 7-foot-2 senior, adds six rebounds per game. He’ll be matched up often with FSU’s Christ Koumadje, who stands 7-4. Terance Mann grabs 6.6 rebounds per game to lead the Seminoles, but FSU has four players who average at least five boards. FSU held a 50-43 edge on the glass during last season’s match-up. .372: That’s Florida State’s field goal percentage in ACC road losses this season. In ACC wins this season, Syracuse is holding opponents to a .362 field goal percentage. In losses, opponents are shooting .556.